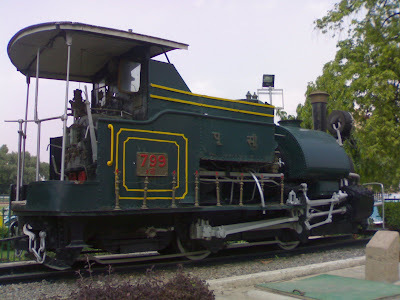 This is an original Indian Railways engine that is on display at the entrance of Rail Bhavan, the building that offices the Ministry of Railways. Nothing more to write for now. Would like to share that monsoon rains in Delhi are proving a handicap for me go out and click pictures. Hopefully, I will find a solution soon.